Field of dreams. The yellow season in Finland. Summer. A very relaxing way to spend an afternoon. 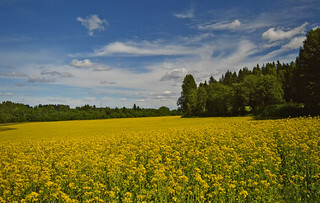 Field of Yellow Rapeseed in Finland. 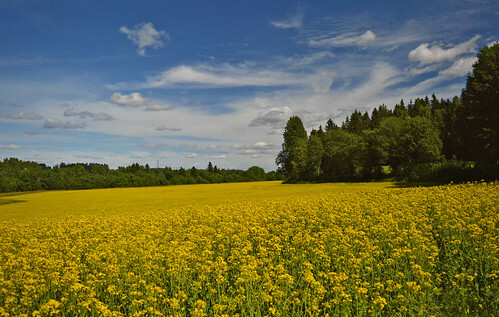 Rapeseed is used for animal feed, plus it is cultivated for its seed (rapeseed oil) that is then used as a vegetable oil in cooking.